Cycling is notorious for hot spots of tensions and muscle tightness, particularly in the hamstrings, hip flexors, chest and lower back. 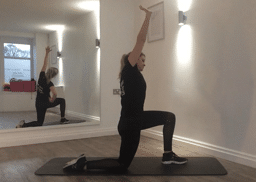 As such, we’ve compiled a selection of stretches cyclists should undertake in order to prep their body before getting on the bike, as well as helping aid in recovery following a ride. The hamstrings run from the back of your pelvis down past your knee joint. Working in a team with the quadriceps at the front of the thigh, hamstrings are notorious for shortening, thus becoming inefficient. Benefit: Improves mobility of the spine, whilst stretching the hamstrings and calves, as well as helping strengthen the mid-back. 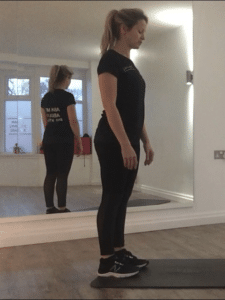 Set Up: Start in standing with your feet hip-width apart. 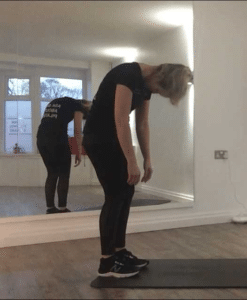 Action: Bend down to the floor by peeling your spine forwards one section at a time. Next bend your knees and walk your hands out on the mat to make a triangle shape with your body. Top tip: in your downward dog, press the whole palm into the floor, lengthen your spine into your tailbone and only straighten your knees if your back is in a long position like shown. Hip flexors cross the front of the pelvis down into the thigh. The flexed cycling posture can lead to shortening of these, which in turn can lead to back pain and limited hip power. Benefit: Improved downward force in pedalling, along with benefitting lower back posture, as well as enhancing hip, quadricep and gluteal coordination. Set Up: Whilst kneeling on a mat step the left foot forwards. Action: Tuck your tailbone under and squeeze your right bottom cheek. Now reach your right arm up and lean to the left-hand side. Maintain the squeeze at your bottom throughout. When the lower spine and associated muscles become tight the trunk tends to round rather than fold into the cycling posture. This causes imbalance in the support provided by the core, puts excessive pressure on the lumbar joints and reduces leg power. Benefit: Spinal mobility is improved, the lower back muscles are stretched, and the rotation of the spine helps stimulate the bodies movement awareness. Set Up: Lie on your back with the knees bent and legs held together. Action: Keep your shoulders on the floor as you roll both legs to one side. You may like to turn your head to the other side as well for a further stretch. Start small and build up to how far you move, though. Due to the shoulders being positioned facing forwards, the pectoral muscles have a tendency to shorten during cycling. Alongside this, if the core is insufficient, cyclists also tend to grip disproportionately with the upper body and overly extend the neck making things worse. Benefit: Stretching and release of the should and upper back muscles. Set Up: Hands and knees on the mat. Action: Step or slide your hands away from you along the mat whilst keeping your hips over your knees. Increase this shoulder stretch by reaching your hands together. Alternatively, to decrease the shoulder stretch, take your elbows wide and bear more weight through your forearms. Benefits: Isolation of the pectorals for a deep stretch, along with a whole body rotation that also targets abs, hips and quadriceps. 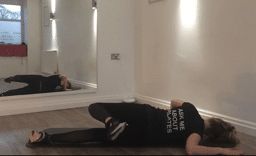 Set Up: Lie on your tummy with your left palm on the floor next to your shoulder, the right arm held out to the side at 90 degrees and left knee flexed. Action: Engage your core and push with your left arm, rolling yourself onto your right side. You can also reach your left foot behind your body if that feels acceptable. Move gradually into the position as this is a very deep chest stretch. If the Scorpion is too deep, try doing this in standing whilst facing a wall then stepping behind to leave your arms stretching on the wall. 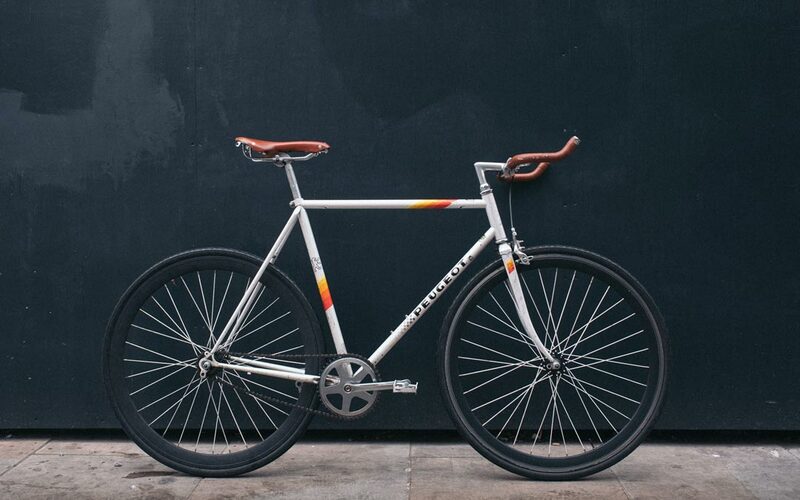 In order to cycle at your best, you need the flexibility as well as the strength to get into an optimal position. Therefore, alongside these stretches, make sure to explore our other article on the strength and conditioning exercises cyclists should also be including alongside your training. For further assistance in taking your cycling performance to the next level, get in touch today to book a physiotherapy or sports massage appointment.